We’re very lucky to have two Charity Shops, run by volunteers, ensuring all money raised can be spent on supporting adults with learning disabilities. 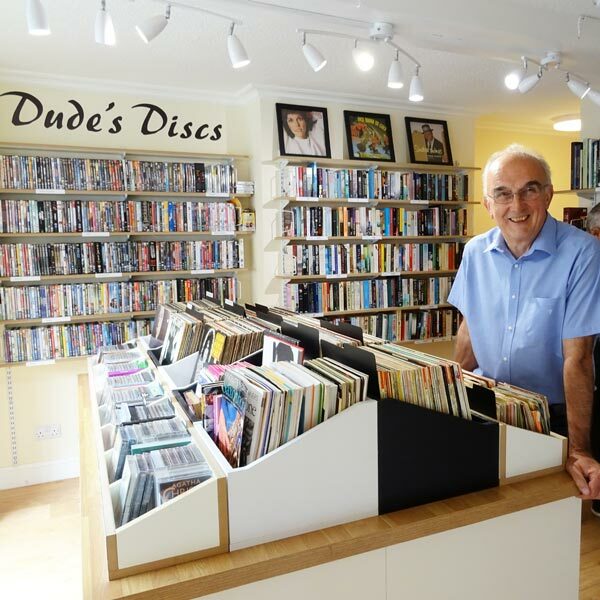 Our shop in Manningtree ‘The Acorn Charity Shop’ is divided into Books, Records, CD’s & DVD’s one side and clothes and general items the other. These change on a weekly and sometimes daily depending on what comes in. The friendly volunteers can help advise on what items are available and also keep an eye out for a specific item you may be after. 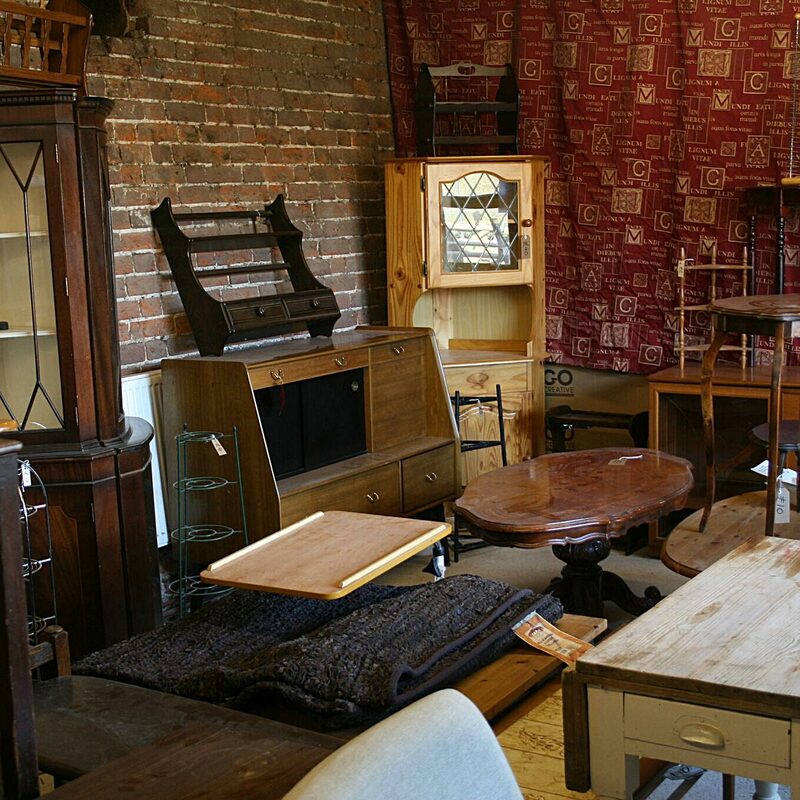 Once used as a carriage storage area many years ago, the onsite shop ‘The Coach House’ has a similar layout with half books & half general items. As well as our volunteers you will find our residents and tenants in the shop learning finance and retail skills. You will find the furniture store opposite this shop. We’re always looking for Shop more volunteers. Our shops and online sales depend on the generosity of others. 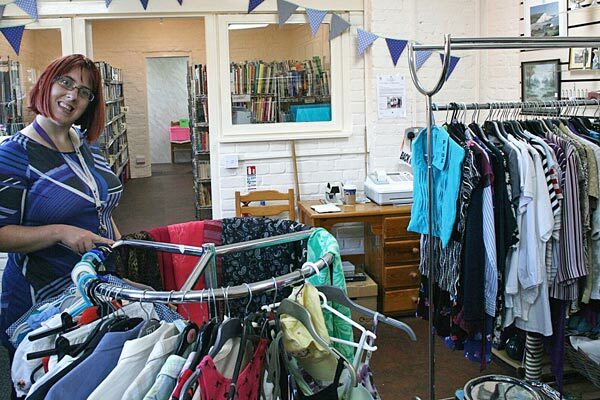 Through kind donations our volunteers can stock the shops, sell items online and pass suitable items to the Creative Craft Centre or houses to use. This then ensures money can be used to help support adults with learning disabilities to reach their full potential. We really appreciate the items you kindly donate to us, unfortunately due to disposal costs, we can’t accept items that are broken or damaged. Unwanted Presents or New Items – We use these for Raffles, Tombolas and to sell on stalls at our events. They save the charity a lot of money and we can’t thank you enough for gifting these. 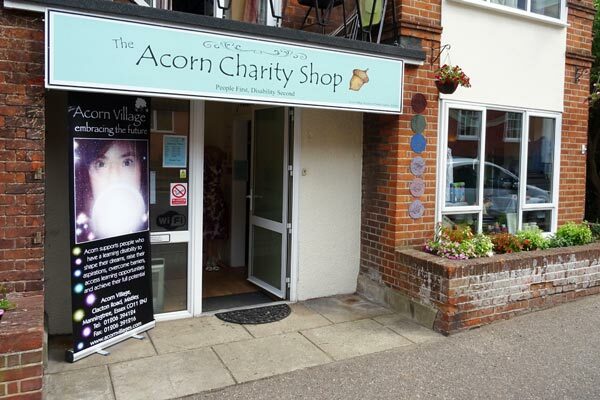 Donate your items by bringing them directly to the Acorn Village Reception in Mistley Hall or if it’s a weekend to The Acorn Charity Shop in the High Street. For large amounts or house clearances we can come and collect, please call us on 01206 394124. 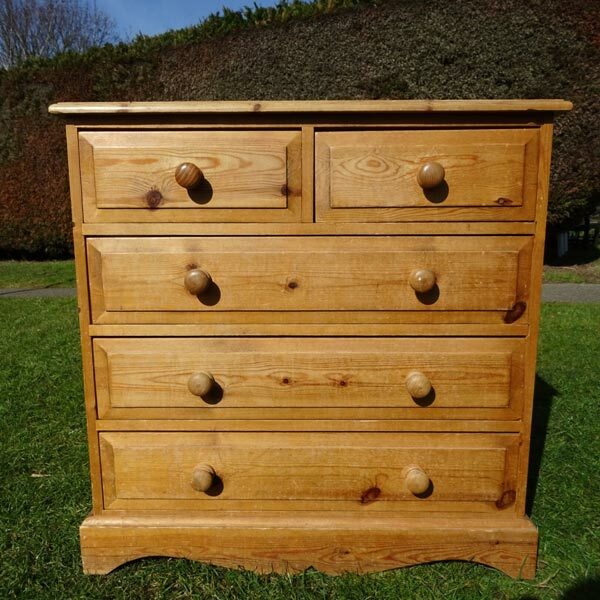 Your second hand furniture can be turned into funds to support adults with learning disabilities. As well as selling it on site we also use online sales sites and put small items in the Manningtree Shop. We can collect from the local area. Unfortunately we do have limited space so please contact us on 01206 394124 or supportus@acornvillages.com prior to donating your furniture. NB: Any upholstered items must adhere to the UK safety standards and have a fire label sewn or stapled to them. Sadly, we cannot accept any without this . We do accept furniture that needs some TLC as they can be sold for upcycling however sadly we don’t have the resource to fix broken items. If in doubt please call us on 01206 394124. When donating an item it is worth considering… ‘Can this item be sold & does it adhere to UK safety standards?’ If the answer is yes then chances are it can be donated space permitted. For clothing that is past its best we use a textile company who pay by the kilo. If you have items like this, please label the bag as such and you can still help make those vital funds this way. Thank you for Supporting Adults with Learning Disabilities by donating your unwanted items.